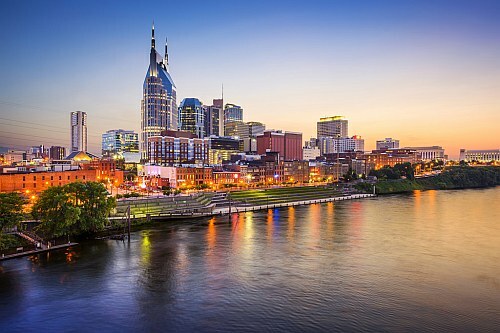 Air Canada has dropped the price of some of their 1-stop flights from St. John's, Newfoundland to Nashville, Tennessee down to $370 CAD roundtrip including taxes. Flights from Newfoundland to Nashville are usually quite expensive. 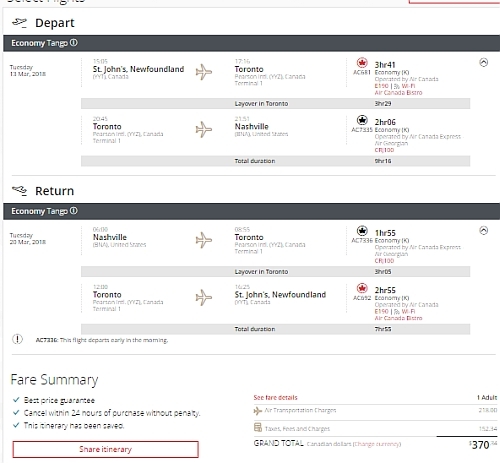 This is about 40% cheaper than the typical best roundtrip prices from St. John's to Nashville. - Click on the departure date box to open up the calendar view and look for cheap date combinations. - Look for the dates that are $371 CAD roundtrip. st johns, yyt, air canada, united states, flight deals, north america, nashville, tennessee and bna.